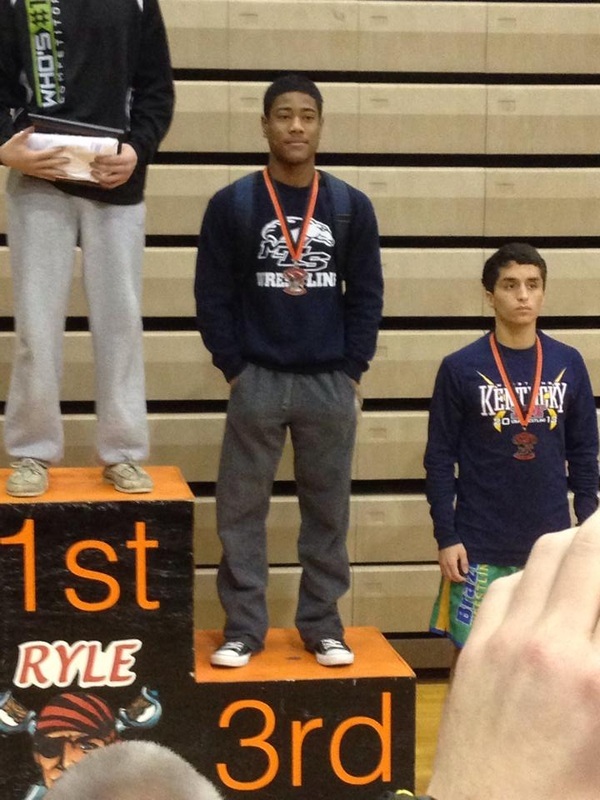 Mikey Smith (182) defeated the #3 ranked wrestler in his class in the semi-finals and then the #2 ranked wrestler in the championship match at the Ryle Raider Rumble. The Raider Rumble is one of the toughest tournaments in Kentucky every year. Moore will wrestle at home this weekend for their annual Horsepower Invitational. Wrestling starts at 9:30am. 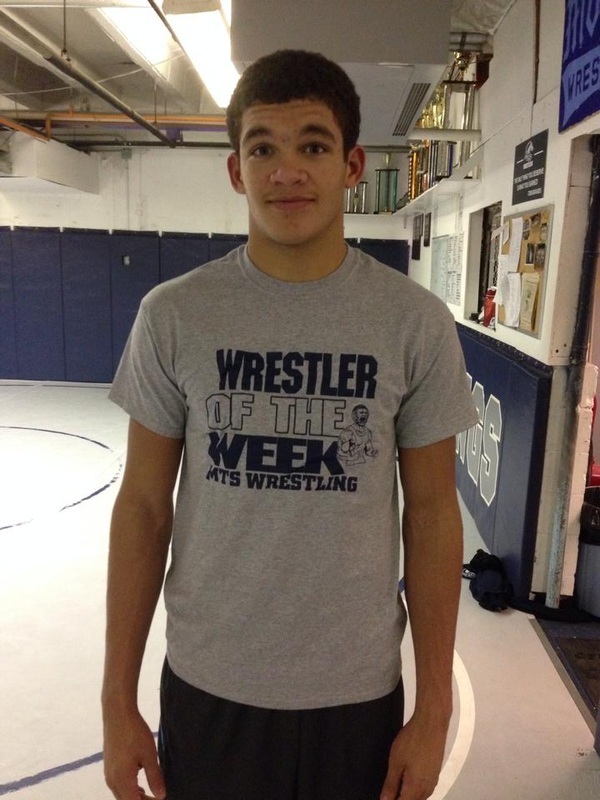 Dec. 9th - 14th - High School Wrestler of the Week! Congrats to junior Mikey Smith who was awarded the wrestler of the week for the week of Dec. 9th-14th. Mikey finished off a great week by defeating the #3 and #2 182lb wrestlers in the state at the Raider Rumble Saturday. Parents, Support, Wrestlers, Managers!! We need your help for our first annual Horsepower Youth Tournament. The tournament is Sunday! If you would like to sign-up to help with Sunday or Saturdays high school event, please sign up below. The Middle school wrestling team defeated the Bulldog Wrestling Club, the Tournament Team, and Fern Creek Wrestling Club to place 2nd at the annual Middle School HPI. 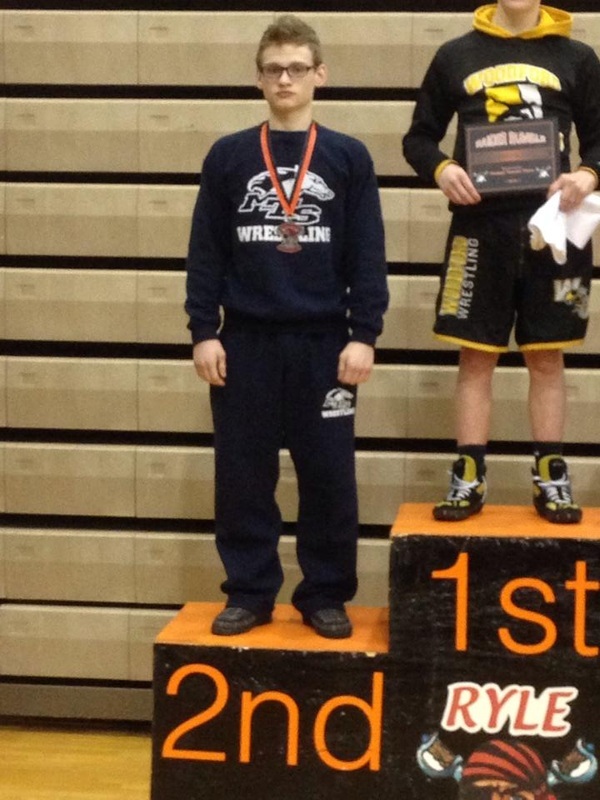 Andrew Pomeroy won 2 matches and placed 4th at the Fern Creek Youth tournament on Sunday Dec. 14th. 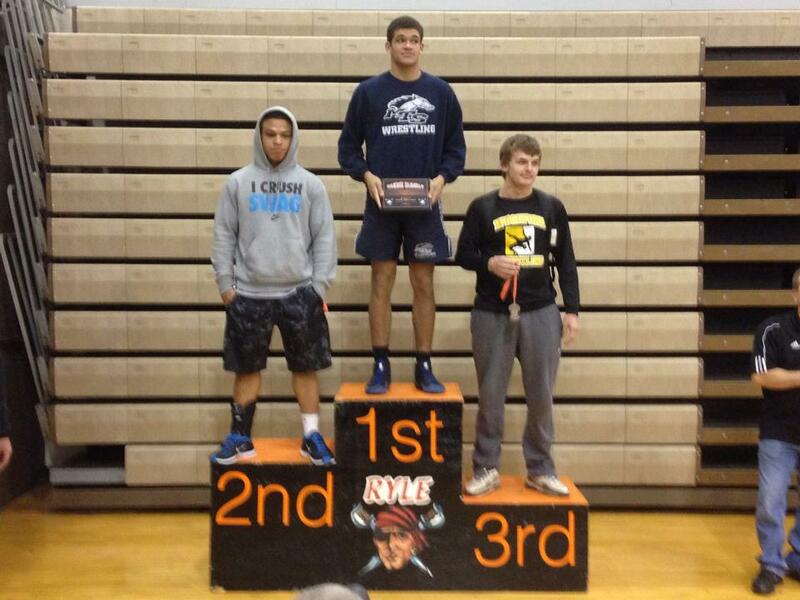 Jalen Polin placed 2nd in his division. Great week for all the Youth Wrestlers!!! We would like to recognize a couple volunteers who went above and beyond this weekend at our Middle School Horsepower Tournament. We had several parents and support stand out as volunteers. Mark Harper, Spencer’s dad helped us out all day at the door and merchandise table; he also did some running for us and filled in where ever needed. His son is on the high school team and wasn’t wrestling Saturday, but he still came out and stepped up for us. Amanda Hickman, Mark Vance’s Mom has really been a big help so far this season. She is no rookie to wrestling, but she is one of our rookie parents this year and is always there and willing to-do whatever we ask of her. She has been a huge help with the merchandise table at Big Brother and Horsepower. Dusty Rumbaugh, one of Coach Marshall’s friends came out Saturday and volunteered his time which really impressed me since he doesn’t have a wrestler on the team, he is just a big supporter of Andrew. Thanks Dusty. Brenda (Cody Melton’s Mom) and Christina (Brandon Vaughn’s Mom) really helped out with tournament clean up. They didn’t stop until the last toilet was clean J This was a huge undertaking and we couldn’t have done it without you. And of course thanks to the usual crew of parents willing to give a hand. Just thought we would recognize some newer parents. Without a awesome parents and support group we are nothing.